“It’s not just about one side or the other – it’s about people,” protester Amanda Moore said. President Donald Trump came to Johnson City Oct. 1 and held a historic rally at Freedom Hall with Republican Senate nominee Marsha Blackburn and Republican governor nominee Bill Lee. Freedom Hall, which holds approximately 8,000 people, was at max-capacity. 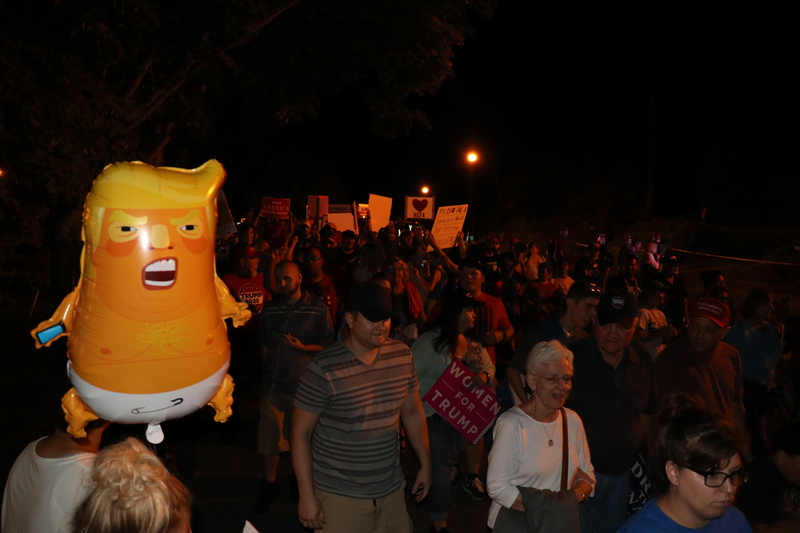 The president noted that there were 20,000 people outside that weren’t able to get in. There were also rally-goers who were put in an overflow room right beside the arena. 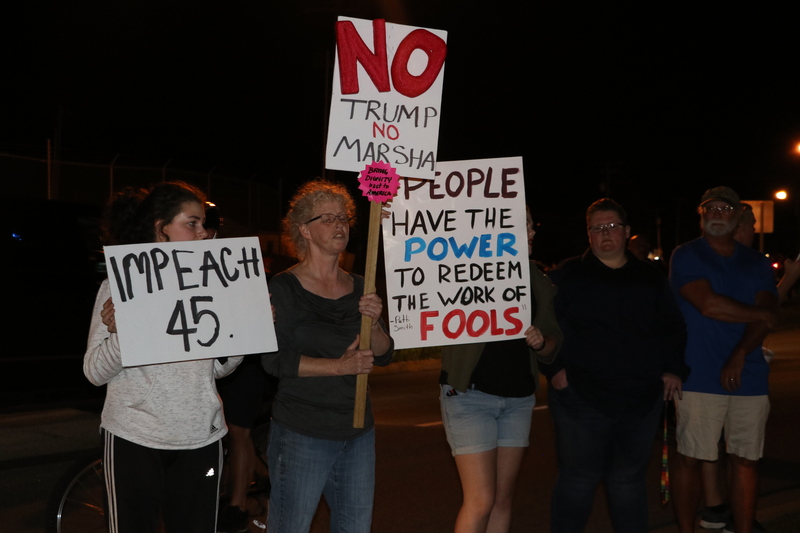 With the supporters outside were also hundreds of protesters lining the road to Freedom Hall, joined by the Washington County Democratic Party. Moore is originally from the Bristol area but now lives in Georgia. She travelled to Johnson City for the rally. For the most part, the protest was peaceful. It was right along the route many supporters would have to take as they left after being turned away when the event reached full capacity. Police surrounded the demonstrators to ensure everyone’s safety, but it became heated quickly when the supporters had to start walking through the protesters. Moore says she understands why people like the president and why they voted for him. Elliott, who preferred not to give a last name, could also see the supporters’ reasoning. Although they understand the opposing viewpoint, they still strongly believe in what they are fighting for. Many of the hundreds of protesters held up signs about policy. 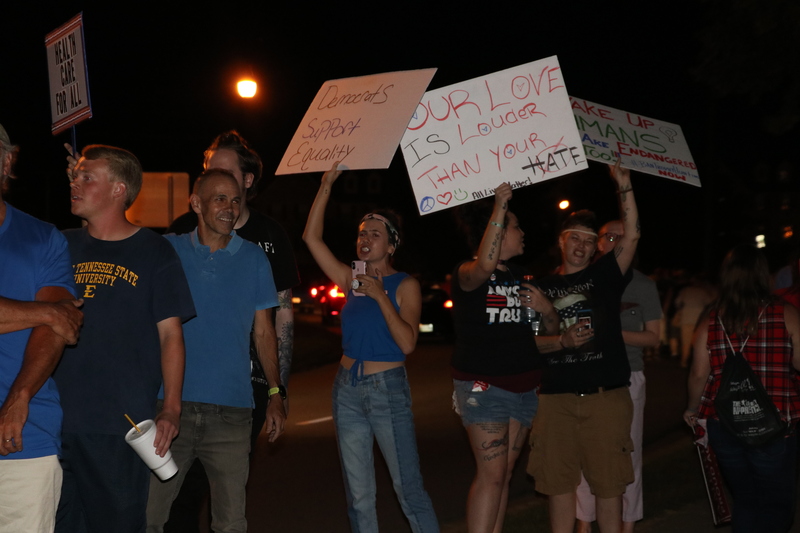 The demonstrators, including Elliott and Moore believe that this protest will have a positive impact on the community and get their message out. Moore also believes that peaceful protest is the most effective resistance.